Bend, Oregon is widely recognized as one of the top beer cities in the country. In fact, articles published in the national media have routinely referred to it in recent times as Beer Town USA. That's based largely on the number of breweries per capita and the quality of the beer. 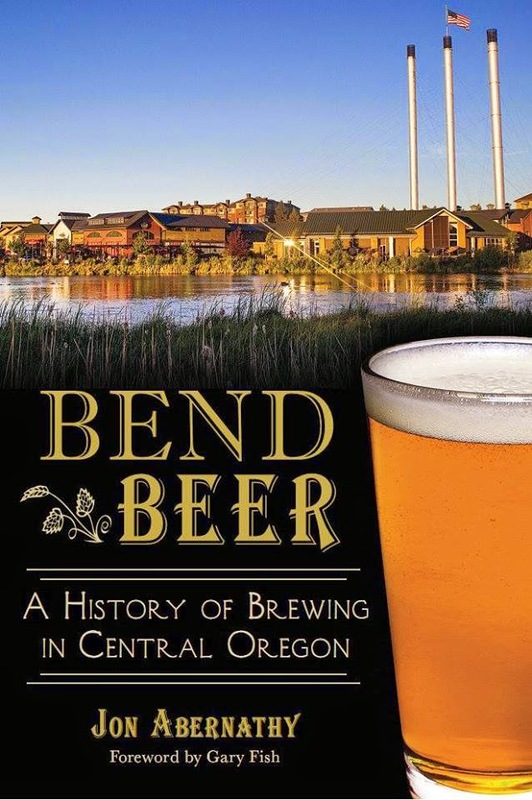 Jon Abernathy's new book traces the transition of Bend (and Central Oregon) from frontier homesteading to the timber boom era to recreation, tourism and, finally, beer. It's a long and winding road, with a number of fascinating stopovers along the way. The first thing you realize is that Bend's history does not parallel that of Portland, Oregon's largest city and the place where craft beer in the state was born. Henry Weinhard Brewing had a dominant presence in Portland and the Northwest for more than a century. There was only a small brewing presence in Central Oregon until Deschutes Brewing was born in 1988. That's when Bend's beer trajectory starts to line up with Portland's. Without many breweries to write about in the early period, Abernathy focuses mostly on the economic development of Central Oregon. The area possessed a tiny population of subsistence farmers and ranchers. Bend wasn't even incorporated until 1905, largely a result of the fact that the area was economically isolated. That changed in a big way with the arrival of the railroad in 1911, which opened to door to the timber era and dynamic growth. Strangely enough, the coming of the railroad and the launch of the timber boom era coincided closely with state prohibition in 1916. Bend had been a haven for saloons and brothels from its early days and the temperance movement was greeted by many. But not all. 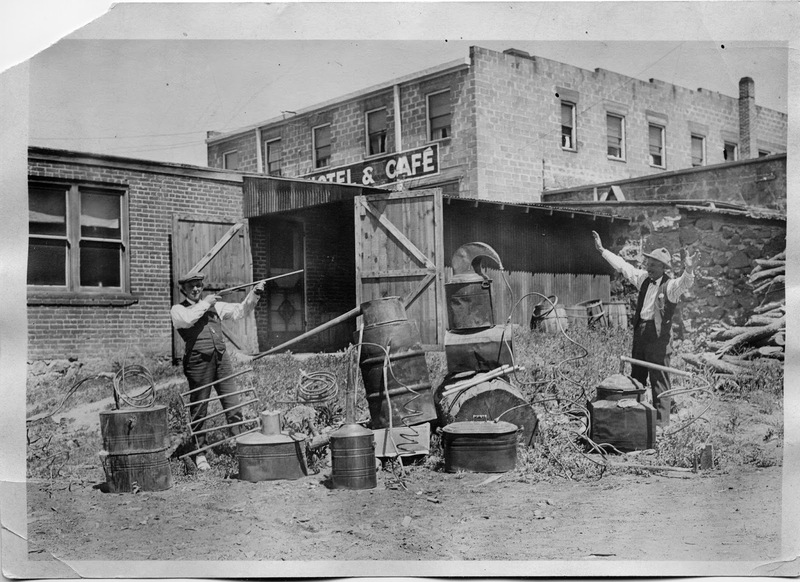 One of the more fascinating stories from the prohibition period involves the role Central Oregon played in the manufacture of moonshine for the region. I won't give it away, other than to say the countryside "lit up at night." By the time Prohibition ended in 1933, Bend's economy was dominated by timber. Taverns and bars opened or reopened and the beer flowed. Bond Street, the eventual home to Deschutes Brewery and Public House, once again became a bustling strip. The area's beer experience during the period following Prohibition mirrored that of the country, as the national brands moved in. The timber era began to decline by the late 1950s, gradually replaced by recreation and tourism. Mount Bachelor (known at Bachelor Butte until 1983) led the way as a magnet for visitors from outside the area and accounted for a growing financial footprint. As the onslaught of the national brands intensified during the post-World War II era, Central Oregon aligned with the rest of the state in supporting regional brands Olympia and Blitz-Weinhard. Gary Fish was operating a restaurant in Utah and watching the craft movement expand in the mid-1980s. He looked at the brewpub model and saw something he liked. Northern California is where he wanted to establish a brewery, but high real estate prices and competition proved problematic. His parents, having visited Central Oregon, suggested he take a look at Bend. 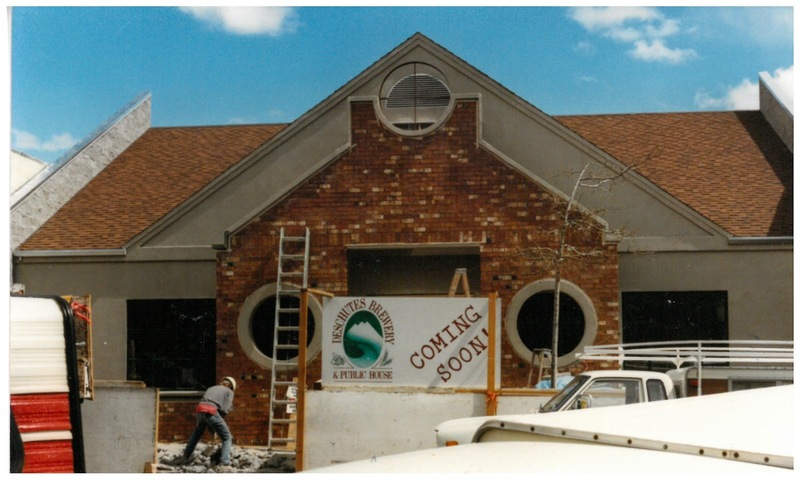 Deschutes Brewery opened in June 1988, less than a year after Fish visited the area to check things out. Abernathy documents several interesting points here. 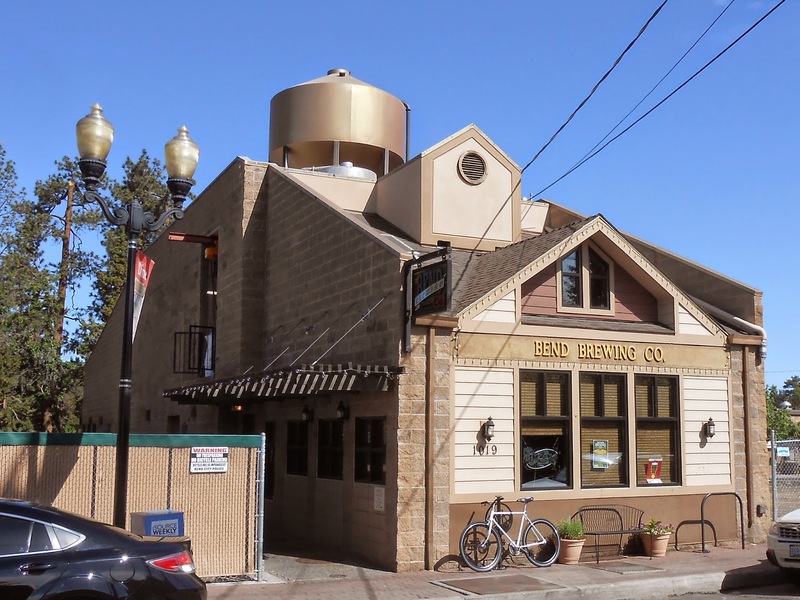 First, there were others who had plans to open a brewery in Bend around this time. None succeeded. Second, Deschutes was not an instant success by any means. They were problems with employees, customers and infected beer. These were uncertain times. "You could shoot a gun off in here a lot of nights and nobody would notice," Fish is quoted as saying. Some nights he sent employees home and ran the place alone business was so slow. That's a hard concept to fathom today, given what Deschutes has become. Most of the second half of the book deals with Bend after Deschutes. Abernathy rolls through the successes and growing pains at Deschutes and traces the history of breweries that came later: Silver Moon, Cascade Lakes, Bend Brewing, 10 Barrel, etc. The names and travels of countless brewers, many of whom passed through Deschutes and other places on their way to their own gigs, are tracked. Because it happened after the book was published, Anheuser-Busch's purchase of 10 Barrel Brewing is not covered. That's probably just as well. Any future edition of this book will certainly address that deal and the not-so-friendly response to it. For now, interested folks will have to be satisfied with news reports and blog coverage. As many who read this surely know, I wrote the history of Portland beer. The Bend book shares the same publisher and, as you can see, the same cookie cutter cover layout. I have never met Jon Abernathy, but we had several online conversations regarding his project. Still, no one told me I had to like his book or recommend it. Bend's story is really quite different than Portland's for reasons that are readily apparent as you read the book. At the end of the day, some of the most interesting history is local history. For it is local history that traces the development of communities and people most clearly. Jon Abernathy does a fine job laying out and explaining the forces that shaped the transformation of Bend and Central Oregon from frontier to modern times. 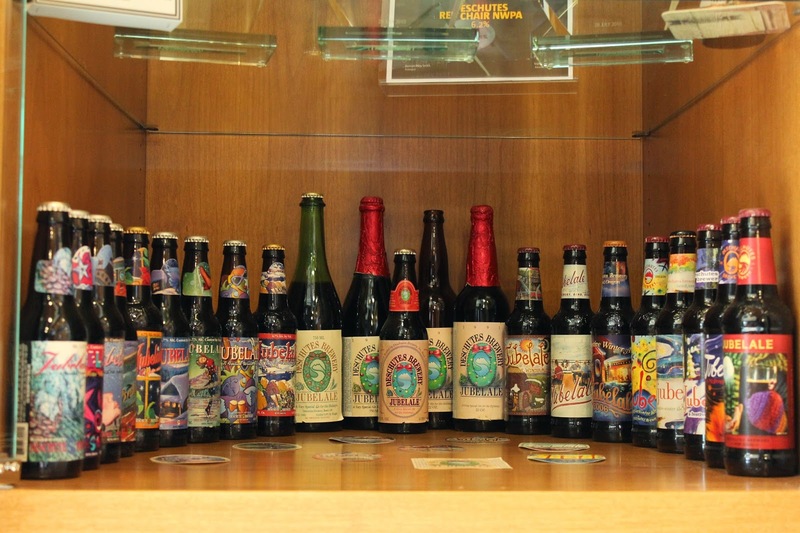 The brewing part of that history happens to be most prominent after 1988. Still, there is great history here. This book will be of interest to residents, non-residents and tourists who want to know how Bend and Central Oregon became what it is today. The hoards that travel the Bend Ale Trail annually will find plenty to like here. The story is well-researched, well-constructed and expertly written. And it will occupy a seminal place in the literature of this area for years to come. Jon has launched a series of events in support of the book. Some have already taken place and I assume they have gone well. Here in Portland, he will appear at Powell's Books on Burnside on Friday, Dec. 5. He will partner with Brian Yaeger, whose book, Oregon Breweries, comes out next week. Both books have Facebook pages and websites with more info. I urge interested folks to learn more.